A Guidance Counselor ignored our parental consent form and conducted some tests on our daughter against our written instructions, even though she also signed the form acknowledging our concern. Our parental control was totally ignored. This guidance counselor is listed as an IEP Team member, but my wife and I can not trust her anymore. Can we demand she be excluded from the IEP Team? You can demand, but if you do, you set yourself up for a big fall – and you are likely to be labeled as unstable. Parents need to request the services their children need and attempt to keep things unemotional and businesslike. When parents demand, they ensure that the school will fight forever to keep from giving in to parental demands. In some circumstances, this requires a great deal of self discipline – more than some people possess. At that point, you need to get assistance from an educational advocate or advice from an attorney who specializes in this area of law. IEP team members tend to play different roles- the pitbull and bully, the know it all, the conflict-avoider, wet blankets, snipers, etc. 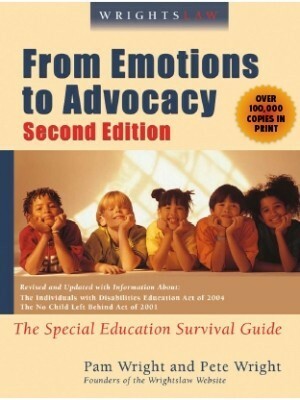 We discuss “dealing with difficult people” in our book From Emotions to Advocacy. These dynamics play out in most organizations. Parental demeanor needs to be a blend of Miss Manners (polite) and Peter Columbo (“I’m confused. Can you help me understand why you can’t do X,Y, Z to help my child?”). Parents also need to document problems and their attempts to resolve problems in polite letters that will become part of the child’s file that can be used later, if necessary. Be sure to keep a copy for your own records. If you did this, you would have to do some research to decide who to send the letter to – who has power in your school district – principal, superintendent, school board member. The letter may elicit a reprimand that you will never know about. The letter will probably remain in the guidance counselor’s file forever and may make him/her more cautious in the future. You’ve just learned an important lesson – that many school people think they know what’s best for all children and that parents can and should be ignored because they are overly emotional, ignorant, etc. 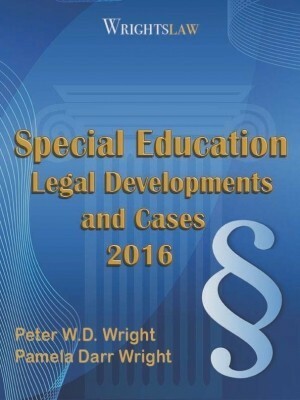 This entry was posted in Advocacy, FAQs, IDEA 2004, IEPs, Strategies and tagged IEP Team Members, Ms Manners, Paper Trails, Parent Rights, parental consent, Peter Columbo, Positive Parent-School Relationships, school evaluations, Tactics and Strategies by Pam Wright. Bookmark the permalink. My child w/IEP 1 issue being hearing loss. My child’s teacher was aggressive yelled at her daily-causing humiliation in front of her class. I reached out to change classes. I was ignored. I found out her teacher turned off her FM system & all the damage to a 10 year old.I removed my child from the class.The teacher for the hearing impaired knew did nothing &allowed the FM system to be turned off.I requested an IEP meeting.The teacher for the hearing impaired did not advocate for my daughter.After the meeting most of the hearing equip.wasn’t returned.My child told the hearing impaired teacher she could not hear students in class. Ignored. I wrote her and she said “sorry you feel this way” I asked for her to be removed and replaced. Ignored. I recently had an IEP meeting where the special ed director was yelling at me whenever I tried to request services for my son. She is a bully and she was there yelling at me and my mom and telling me that my son will not be allowed to go to school for the whole day and when we denied her decision she put her fist on the table and told me that her and the team knows what’s best for my son and the principal and other iep team members just sat there and watched her bully me. I try to document meetings by sending an e-mail outlining what went on. Prior written notice comes and all I asked for and they denied is not included. I didn’t know you could record. 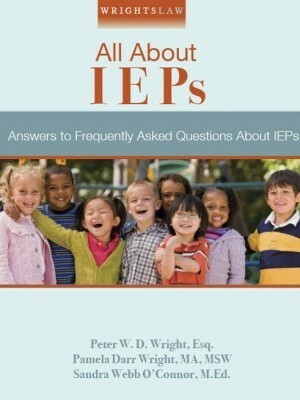 What if the parent requests that her or his child be excluded from the development of the child’s IEP? I think schools would generally honor this, until the child reached the age of majority. I understand what the article is conveying, however, I don’t think it is proper to have a member of the I.E.P. team present where they have no integrity and violated trust, and it is documented. This falls outside the realm of parents setting themselves up for a big fall and it is obviously not emotionally based. This is a businesslike decision as when one of the members has shown they lack integrity and honesty, they have no place at the table or within that organization. I am facing similar circumstances. The IEP process has turned adversial. The decision making is being dictated by the school administrators and the IEP team is forced to agree with the administration. No independent thinking is being tolerated. IDEA law is being violated and a state complaint has been filed. The district IEP coordinator has now been added to the team. Can I block this participtation? Living the same situation. All sit while Director of Special Services makes decisions that are not in her area of expertise. I wrote above about requesting that the teacher for the hearing impaired be removed and replaced. So I look bad according to this article and she looks fine. I did write her and then the director of special services since all allow her to speak and don’t try to state the obvious. The teacher for the deaf is brought in by BOCES. I contacted them and the school district did not remove the teacher for the deaf. Next meeting all will be there including BOCES. It’s all about politics – their job – then your child. Sorry to hear. I agree, I guess I will be seen as stated in the article. I requested that my child’s teacher for the hearing impaired be removed and replaced. Allowed aggressive teacher to yell daily and turn off my daughter’s FM system which helps her hear. The teacher for the hearing impaired did not advocate at IEP mtg. and when my daughter told her she could not hear due to missing hearing equipment she ignored her. I wrote she replied sorry you feel that way. So, if someone in that position does this requesting her removal makes me look bad although I documented first before making the request. I look bad she looks fine? Even though this post is 8 years old. I just have to say that the response regarding the guidance counselor testing without parent consent is the worst advice I have ever heard! I have had two children with autism and you must speak up if you believe something has been mishandled. WOW…extremely bad advice! It made me sad to read this. It’s very difficult. I understand about letting out emotions control us – but is it emotional to want someone removed who is not honest – this situation is quite clear. I also asked which I wrote above to have the teacher of the deaf removed and replaced. That doesn’t make me nuts – but I understand why from a legal persepctive they feel handling it differently can gain more traction. I did reach out in writing prior to removing. My daughter is hearing impaired – for a teacher of the deaf to allow equipment to be shut off, removed and then have my daughter tell her I can’t hear and her ignore my daughter – I’m sorry – I said remove her – called and wrote to BOCES. They said they would look for a replacement. Director of Special Services writes me she is great. You can’t make a global statement about what all guidance counselors do. The roles and responsibilities of guidance counselors differ by school district and whether they work in an elementary, middle or high school. 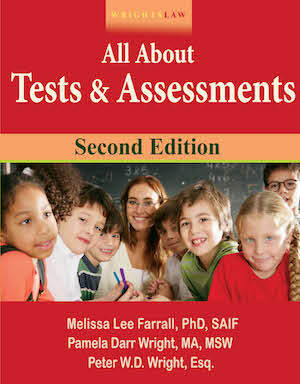 Guidance counselors may interpret test results and act as advocates for students at IEP and child study meetings. Yes, they absolutely do in some districts. Denise, I think the 11 page letter you wrote played a big role in turning the tide. You may not have been her only victims either. People who treat others badly tend to behave that way often. We ran into this issue at our old school district in the form of a school psychologist who blocked every single attempt to give our child (who has autism) services. Over the course of more than a year of trying to get an IEP, she threw up every road block. As I learned more, I realized she was making up legal standards, manipulating other team members, and flat-out lying. I finally ended up going directly to the school district with an 11-page letter to the district listing all the ways she had broken the law, and they finally gave us an IEP. I insisted this woman NOT be part of the team going forward and they did not resist. It is my understanding this is your right — good luck. Wow, you beat me. My letter was 7 pages. I think our Special Ed Director is getting pressure from the central office and that is why she is acting the way she is. She is who we don’t want there and we have plenty of LEA’s at the meeting. The problem with the answer to this question is that there is no law or legal precedent in the answer to help parents if they do find it necessary. We are at the point where the special education director needs to be removed because of something she said at the last meeting. I need that precedent! Kristin: There is no law or legal precedent in the article because parents do not have a legal right to remove members of their child’s IEP team. We suggested writing a letter that includes facts that can be independently verified. It sounds like Denise used that strategy and it worked in her situation. The answer to the question should be edited to include that because I spent hours trying to find a law because the answer was yes. Believe me we have done everything we can to get the district to allow her not to be there and they are standing by their rights. I could not be more disgusted with our central office administration. They are involved in an adolescent power struggle and are only concerned with winning. In fact, we got them to answer the question as to whether or not this person was fighting to attend or that they were forcing her to attend and they are forcing her. My daughters OT called and said OT was gonna stop services. In short she should would never write her name, why teach her to type her name, she would never be able to type a sentence, why continue zippers buttons and shoe tying. Lets just make her more independent and use elastic pants Velcro shoes. Her IEP meeting is coming up. I have already informed central office and am waiting on a new IEP date because OT was not gonna attend. I don’t really want this OT working with my 11 yr old because she has given up on her. The OT has only worked with her once or twice. Any suggestions welcome on how to handle this would be appreciated. Last years eval from her elem. School said she was making progress in writing her letters. She is unable to read, write, doesn’t know her abc or numbers. She has DS, verbal apraxia, ADHD, SID. pls help. So.. for better for worse, I just did this. One of the county representatives has been a bully in our IEP. She is disrespectful and condescending. Before an IEP meeting yesterday, I told her we no longer wanted her at either of my daughters’ IEP meetings. The school then cancelled the IEP meeting to await direction from the Director of Special Education. 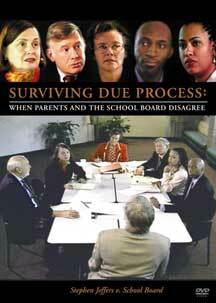 re: But remember, if we as parents have the right to bring anyone we choose into meetings, so does the school. This is how it must be..
No, this is not the case and certainly is not how it “must be”, as evidenced by the role of contracted service providers who may only attend that part of a meeting that directly pertains to the service they provide. This respects the student’s privacy. Interesting. The person I asked to be removed is the teacher of the deaf who is a contracted service provider not part of the district. I didn’t realize you can ask them to leave and only be part of the meeting that applies to them. Is there a law for this? Very valuable information for parent’s to consider! Loved reading the good news Barbara 10 had. Unfortunately we have found ourselves advocating for our son to the point of ignorance. Not finding it beneficial here in this district. The neglect here has harmed our child more than helped him. And most recently some of the the team altered what parent said in the deliberations, putting in what wasn’t said and removing much of what was said. The schools actions are criminal it has been explained to me. Sometimes you have to do what you can to save the whole family and keep your child safe. As all of you know the stresses can be harmful to a marriage and family. My child came here with an appropriate IEP and 1 1/2 years later this school is still not performing to recommendations. Don’t give up but chose your battles wisely. Your children are the most important. I wish I could find you it’s so many years later. I don’t know what to do anymore. Things are so out of hand. I hope all your issues worked out. Your son must be older by now and I hope in a great place. Our son was given a Behavior Intervention Plan (BIP) in 3rd grade by the school LEA.After dealing w/his teacher for 2yrs.& doing research;I learned that a BIP should not be put into place prior to a Functional Behavior Assessment(FBA).So I sent a letter to the School Superintendent requesting that a FBA take place with a behavior group outside of the school due to the negligence of the LEA.A FBA took place within 2 months of my letter.The FBA showed that the classroom needed restructured & the teacher needed more training.But yet by the end of the year the school changed his eligibility to EBD.This was even after what the FBA showed.The teacher had gone back to her old ways & the school was trying to protect her.I fought & got the EBD removed & teacher was relocated. That’s incorrect. 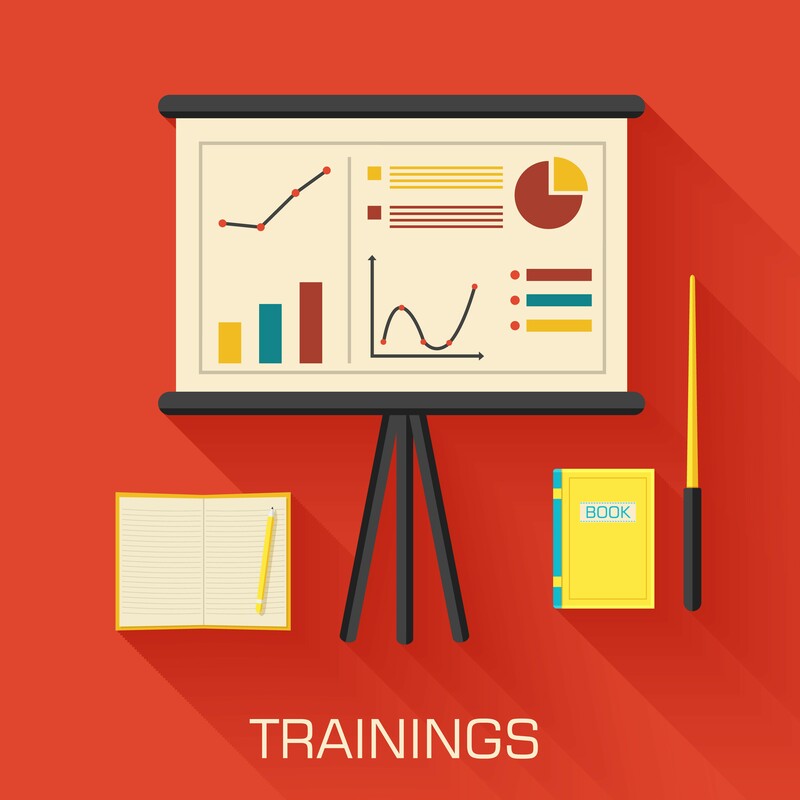 You can implement a behavior plan without an FBA. However, if a parent requests an FBA then the school district typically grants it. Pam, can you please reply as to the answer if parents can request, for an iep team member to be removed, for ex the principal and what that process would look like. 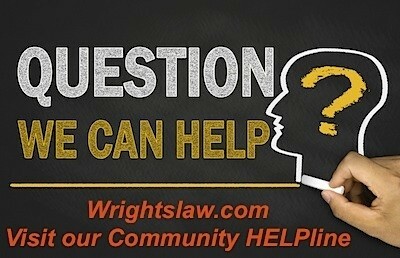 I could not find info or answer aside from consulting with attorney or advocate. Generally this is true. However, I was advocating with a parent who”s child was in a school where the grandmother was the principal. The parents were divorced but attend the meeting together and both represent their child’s interest. The arrangement caused strain since the principal did not always attend meeting except theirs. This conflict of interest was of concern to the parents. I asked them to write a professional letter to the Director of Special Education and politely list their concern and desire to not have her in attendance. The school complied with no direct problems ever noted. The meeting was professional in its demeanor and the I EP team was very professional. Hi, my child’s support team won’t reply to anything I send them. I am respectful and I don’t demand anything. This team is rude, nasty and even stated they won’t work with any parent. Their word is LAW! I am seeking a lawyer now. I just don’t get what is going on. If we sat and agreed on a IEP and now they won’t respect it and move forward with helping my child. I don’t get it! Pam’s comment “When parents demand, they ensure that the school will fight forever to keep from giving in to parental demands.” was right on target for our district. My husband and I always tried to get along with the people at school as our child had to go there day after day, and we knew teachers and aides would take their anger at us out on him. Sometimes this tack meant he didn’t get what he needed at the time, but when the team determined our child could best be served by a placement in a residential setting, they gave us carte blanche on the choice. Our child now attends one of the best private developmental disability schools in the country, the district pays for it, and everybody is happy, especially our child. Our assistant superintendent told us they were willing to do this for us because we were so easy to work with. 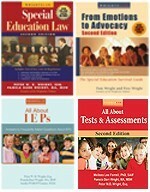 Is there a law stating that a child with an IEP can not attend a school that is not their home school, if the home school offers a program for the child? The school that is in our district but not our home school would be a better placement for our child. I am wanting to make sure that I can legally request that my child attend this school. I am a school nurse. I may not always be right but when I suggest such things as a behavioral evaluation or better communication with physicians, it is always with the very best interest in the child in mind. You would not believe the verbal abuse that has been directed at staff for simply making a suggestion. Contrary to what others may sometimes think most education professionals really love children and want to be of some help to them. We may sometimes be wrong but it is the willingness to listen with mutual respect that is most helpful in problem solving. What if I they gave me 1 week IEP mtg notification and I can’t meet on that date. I request a variance to move annual meet date but denied due to District guidelines. What are my parental rights as it relates to when we meet for my son’s IEP? My son is eligible for ESY,. he is in a self contained saying it will satisfy his academic needs. He has always went full days when in private school can they limit amount hours in ESY ? I received a call from the school Psychologist she sated that, she wanted to test my son for emotional disturbance. I said that I wanted to keep his placement as learning disabilities as it is in his file. She then stated that the school does not have the capability to keep a child like my son and that he will have to be home schooled. Just after the conversation we had a meeting at the school and I signed a release to have a basc 2 done for my son. However, the special ed director was at he meeting and said that if I did not have the basc2 done, he would file for a due process hearing. Is that legal? Also, My child is always sent home with his IEP request and, it is put in his back pack Is that legal for the teacher to send the notice home with child OR should they mail it certified mail? I am having a issue with a new paraeducator for my daughter. Since she has started my daughter has regressed in behaviors and is now telling me she does not want to go to school. When she comes home she is also acting out as well. I called the head of special education and voiced my concern that she might not be the right fit. The previous one was great never had a any issues in fact at the last IEP meeting we thought of removng the need for a paraeducator in the class. The members talked me into keeping it in just in case I would move. The head of spec education did not feel that this paraeducator was a danger to and her and could not be removed because it would mean being fired and there is not enough cause to fire her. I would appreciate any help. 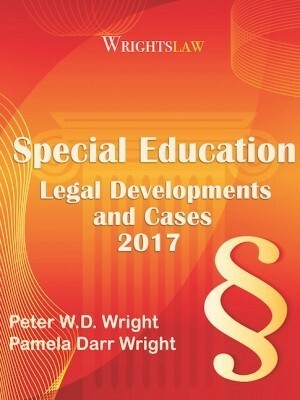 I am disabled and I have not been able to serve as a no fee alternative effectively for my sons needs for an advocate. 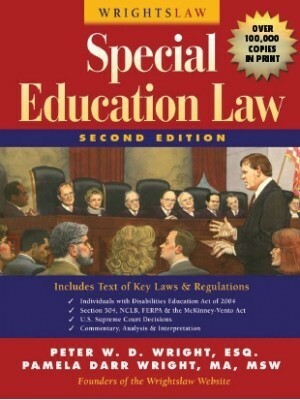 Recently I again called the one attorney here who does do ed law and the barrier is the legal fee costs. Also I met with a service that does provide the iep services that families turn to as the local schools do not provide these. They have had three years to develop staff and a plan to provide what is needed, and do nothing, not even as was in the iep. I am having his first eval since grade 5 in grade 11. 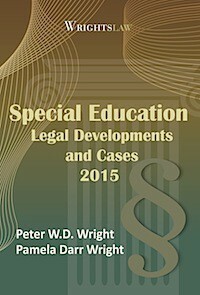 Is there help for paying the costs of a legal ed attorney to be found anywhere? this is a child who has areas that fall in the gifted area(do not offer at school) and problems with writing that the doe just does not recognize although these impact all subjects that require writing. Also, I have found that sometimes after such a letter, the person whom you mistrust becomes very quiet in meetings. It can be difficult when someone who has broken your trust is brought into a meeting. But remember, if we as parents have the right to bring anyone we choose into meetings, so does the school. This is how it must be if there is to be equity among the team members, parental or staff. Pam’s suggestions should put you into a place where you can resume your place as an equal team member with dignity preserved for all. The team approach does more than give us as parents a role, it works to the advantage of our children. The input of the other team members is critical to the development of an effective program for your child. That is why it is so important (and so worthwhile) to maintain the school relationship. We have a top administrator who likes to come to our IEP’s . She does not know the law and keeps stating what she thinks is the law to the team, making it look like she is just doing the right thing and we (parents) are preventing her from doing it. Her presence is intimidating, she takes inaccurate notes, and directs other administrators to “keep the meeting moving”. What is a parent to do when they cannot participate? This administrator says “The district is obligated to offer FAPE. Then, the parents can engage in a discussion with the district and either agree or disagree and make requests.” She changed the document and is not allowing the IEP team meeting discussions and decisions to be a part of the district’s offer of FAPE!